There is different information about that in the literature. The length can be hardly measured directly. A pedometer or even a tape measure are inexpedient for it. 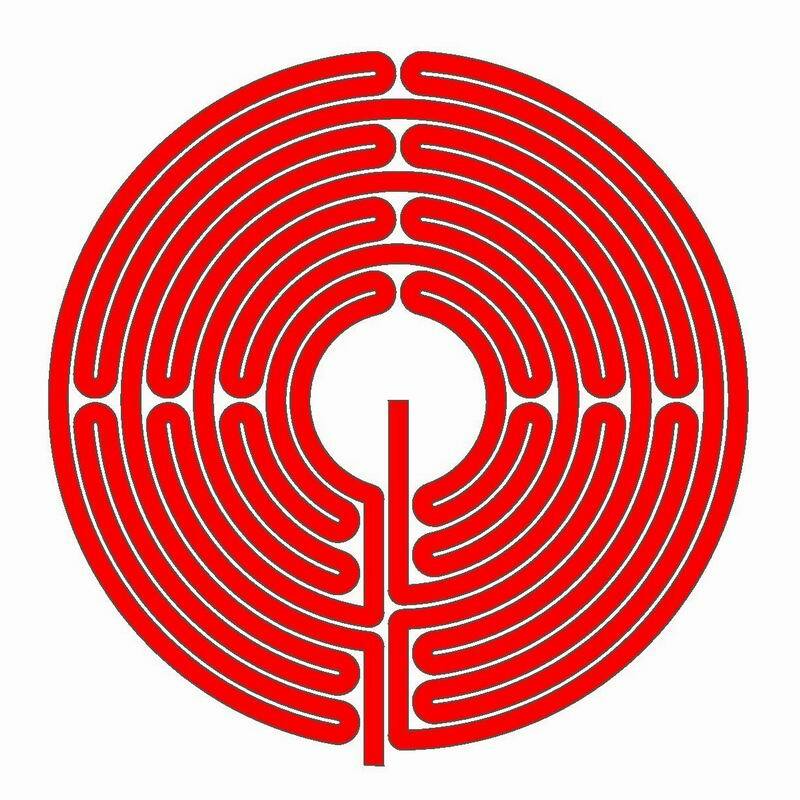 In my opinion it can only be calculated with a mathematical model, so with an as accurately as possible reconstruction of the labyrinth. And there it could become difficult. 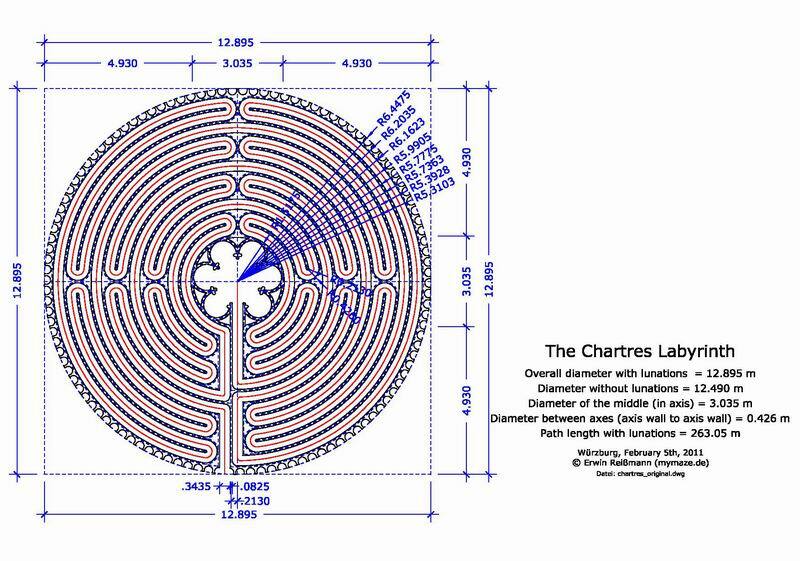 There is a book of John and Odette Ketley-Laporte with the title “CHARTRES – le labyrinthe déchiffré” in French in which quite precisely looking measures are stated. I have taken them into account as far as possible. 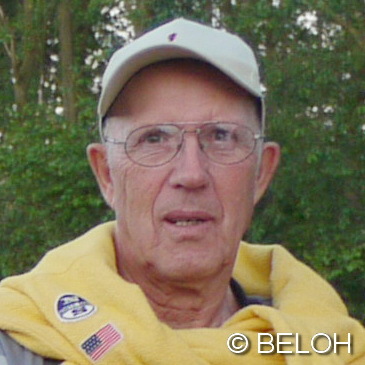 But I have also corresponded with Jeff Saward, the best labyrinth expert worldwide who has to say a lot also to the Chartres labyrinth. 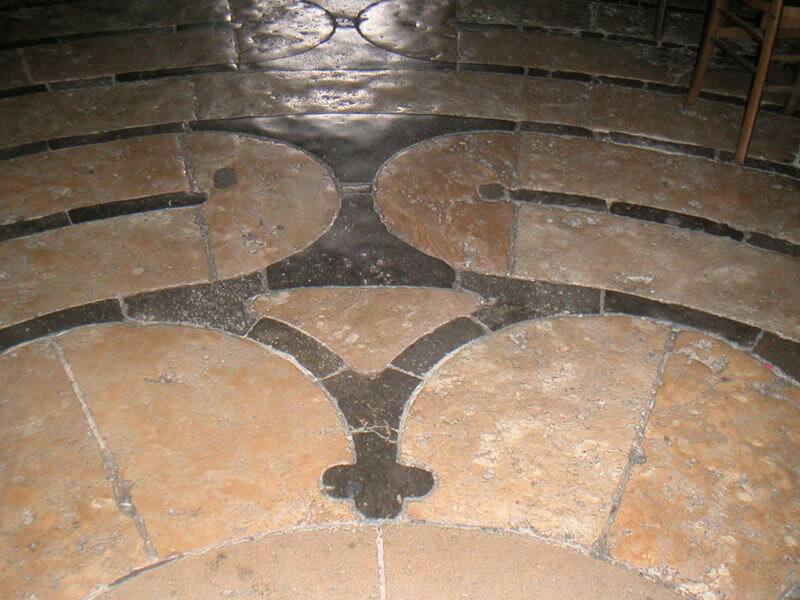 He has written an own article about that on his website: The Chartres Cathedral Labyrinth – FAQ’s. 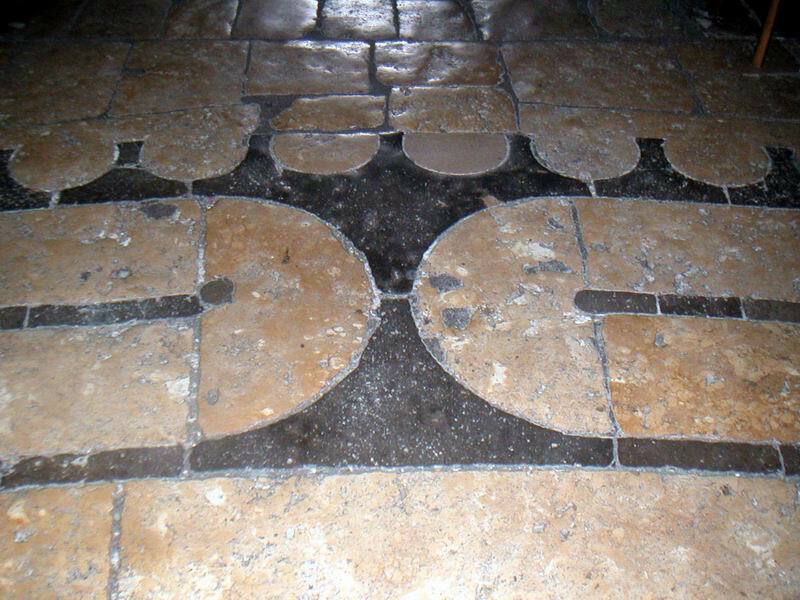 The best picture of the Chartres labyrinth which I know is this stone by stone exact drawing of Jeff Saward. Just compare the joints in the drawing to those in the photos. 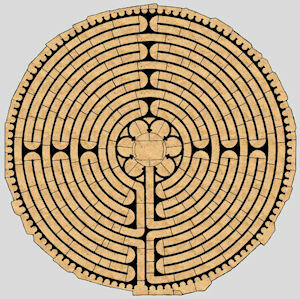 Although already (almost) everything is said, I dare, nevertheless to give some own considerations and to come along to answer the question: How long is then now the path in the Chartres labyrinth? To this end I use a mostly exact design drawing of the labyrinth. 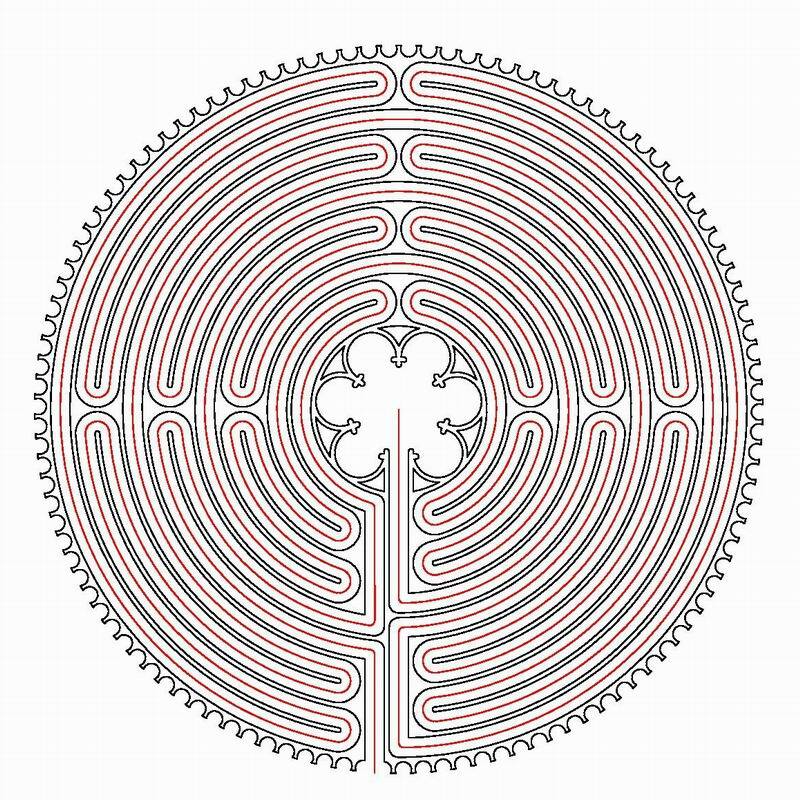 I make this in the kind in which I have already provided several labyrinth drafts: with CAD (computer-aided design) in AutoCAD.The labyrinth has 11 circuits and a bigger middle. The six petals of the middle are not necessary for the calculation of the length of the path because the way ends in the very centre. For the path width I attain 34.35 cm, for the limitations (walls) 8.25 cm. These are mean values, the joints are included. This results in a dimension between axes important for the design of 42.6 cm for one circuit, so 22 x 42.6 cm = 9.372 m for all the circuits. For the middle I take a dimension between axes of 3.035 m.Therefore I get an average diameter (measured in the axis of the walls) of 12.407 m for the labyrinth without the lunations. If I take the walls in addition, I come on 12.490 m.
I get an overall diameter of 12.895 m including the lunations. In this so drawn outline I construct the path axis (the red thread, Ariadne’s thread). 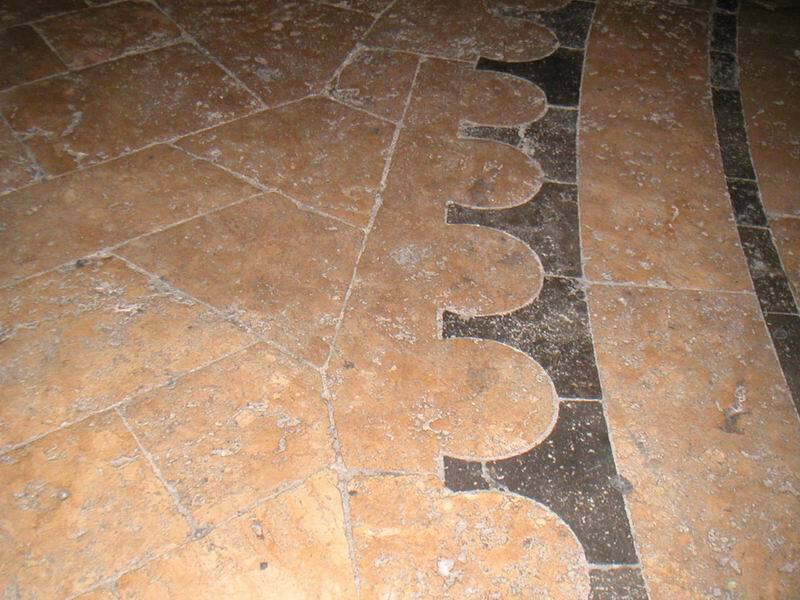 I get a polyline with straight lines and curve pieces which collide free of sharp bends. Normally the path axis lies in the middle of the path. However the crossings of the straight lines in the middle part causes some difficulty. There is a sort of curve widening, the width is bigger than 34 cm. 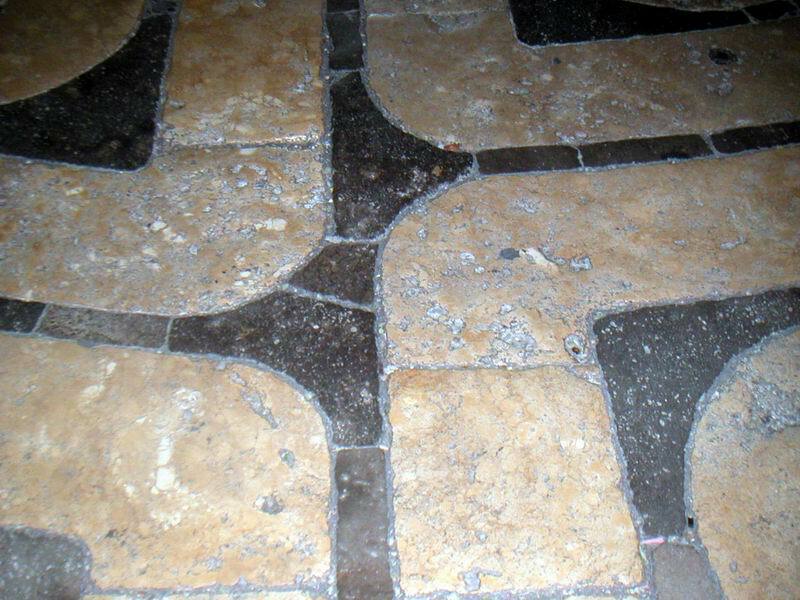 This concerns 6 places in the labyrinth. There the axis can be defined differently. From there one could also calculate different path lengths. According to my calculated alignment I get a path length of 263.05 m. The beginning of the line is the intersection of the path axis with the outside radius of the lunations. John James stated 261.5 m as path length, Robert Ferré states 261.55 m, Jeff Saward has calculated 262.4 m (with the beginning further inside), Hermann Kern reported 294 m.
I would like to say the path length is 263 m. This is an integer. And the sum of the digits is 11, such as the 11 circuits of the labyrinth. 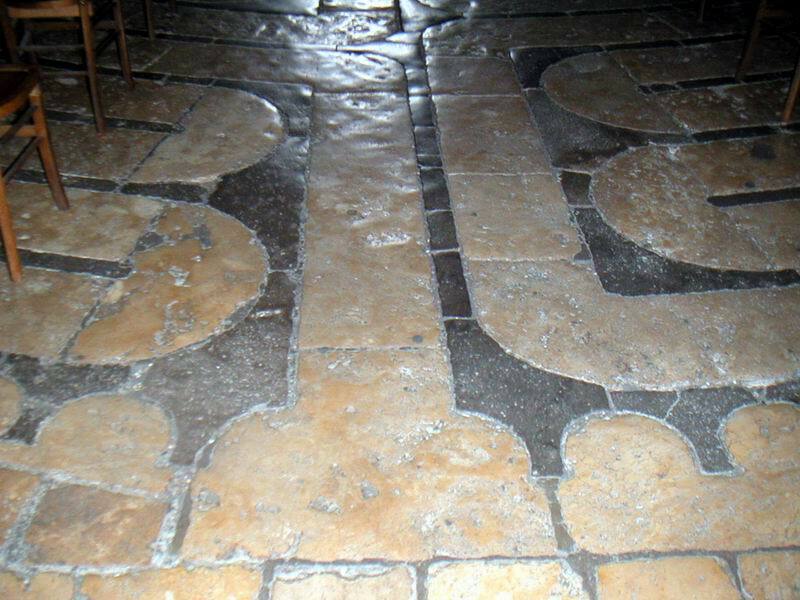 For my English speaking visitors I want to say it in feet: 862.86 ft. Here you may check, print or copy the design drawing with the most important measurements as a PDF file. 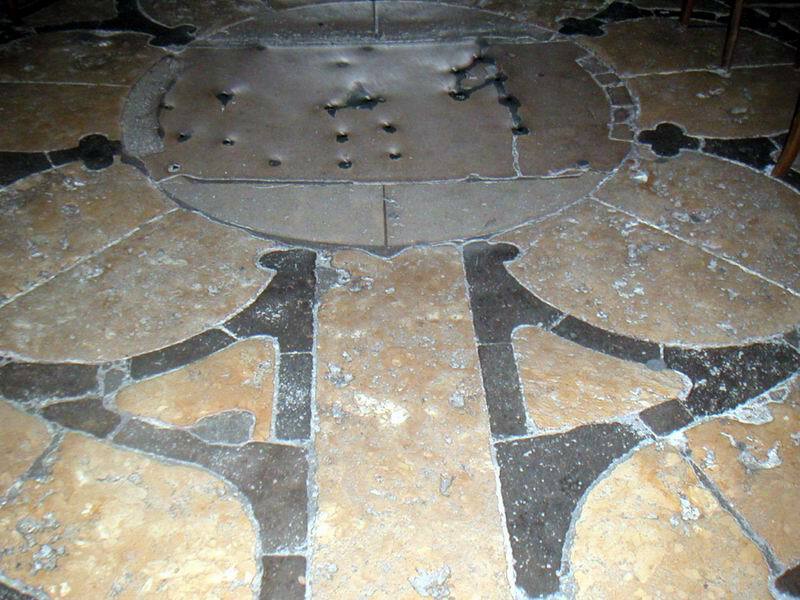 Plan to go to Chartres end of next month to look into the things Kathleen McGowan discribes in her 2nd book of her Magdalene Line about the Cathedral and the labyrinth specifically. Your information as above will go with me too ! Thanks Els.